KAMPALA – Ministries, Departments and Agencies (MDAs) have reason to smile after the Ministry of Finance, Planning and Economic Development on Thursday released UGX4.948 trillion for the fourth quarter of Financial Year 2018/2019. Speaking at the ministry’s headquarters in Kampala, the Deputy Secretary to the Treasury, Mr Patrick Ocailap, said the quarterly release represents 20.7 per cent of the approved budget, excluding external financing and appropriation in aid. “Cumulatively, a total of Shs24.732 trillion has been released to finance expenditures for the Financial Year 2018/19, reflecting the performance of 103.5 per cent,” he added. The key MDAs which have received money include UNRA, who got UGX274.1 billion, which brings a total of UGX1.605.1 trillion. The National Medical Stores got UGX52 billion, bringing total fund release to the agency to UGX284.7 billion indicating a performance of 107 per cent. The release also includes supplementary of UGX20 billion. Mr Ocailap said a total of UGX682.5 billion has been released to local governments in this quarter, of which Shs497 billion is for wages. This, he said, translates to UGX3.143 trillion that has so far been released to local governments this financial year. He urged accounting officials that they must prioritise payment of service providers and avoid accumulation of arrears. The ministry also advised MDAs to start submitting quality ministerial policy statements to guard against supplementary budgets. He also revealed that government will maintain domestic borrowing at Shs1.7 trillion for the next financial year. “We shall ensure that in the next year, domestic borrowing remains at the same level; the level of domestic borrowing should not above 1 per cent of the GDP,” he said. 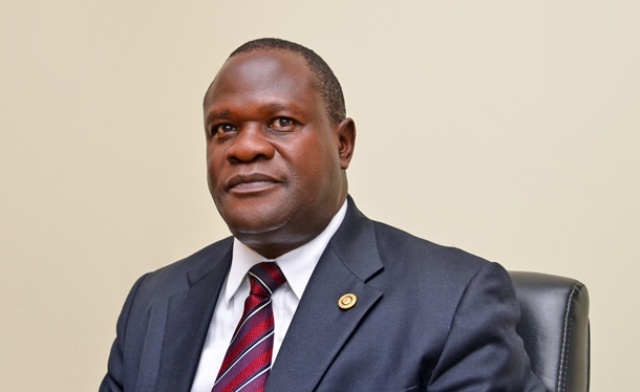 The director of Budget, Mr Kenneth Mugambi, said for next financial year, the budget for agriculture has been increased by UGX200 billion, making a total allocation of Shs1.1 trillion to the sector, up from the current UGX892 billion. Mr Mugambi added that the education budget has increased by UGX500 billion. “The budget for health has increased by UGX200 billion, the bulk of this increase for drugs,” he said.